If you haven’t dipped your toe into serving meals at your library already, now is the perfect time to do it! In June, Amy Koester blogged about Combating Summer Food Insecurity at the Library but it might have been too late for you to put things into place for this past summer. Never fear, here are some tips to getting started with your planning for Summer 2017! 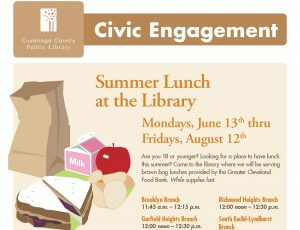 Providing meals increases civic engagement, and shows the library to be a community resource hub. Offering meals builds a sense of community, as library staff will learn the names of more kids who already visit the library often. It expands partnerships with other community-focused groups. Serving meals helps with lifelong learning, as students can be more successful at school when they don’t have to worry about their next meal. 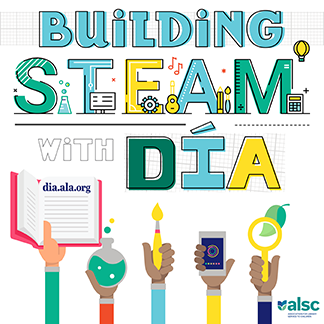 When advocating for meals at your library, you’ll also be fulfilling the ALSC Core Competency of “Outreach and Advocacy” through the formation of partnerships to overcome barriers for children in your community! Food insecurity doesn’t just happen during the summer months and libraries are starting to move beyond just serving meals in the summer. Last fall was the start of the Kid’s Café program which expanded Cuyahoga County Public Library’s partnership with the Greater Cleveland Food Bank. From October 2015 to May 2016 the Warrensville Branch staff served 533 unique people and 2991 dinners which means almost 3000 times a child didn’t go to bed hungry. If you are considering serving meals at multiple locations having a central person to initially set things up is a good idea. 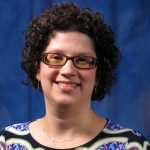 At Cuyahoga County Public Library, the Youth Programming Manager, Julia Boxler tackles this role. 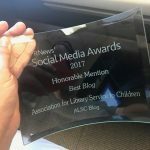 Mary Schreiber, Youth Collection Development Specialist at Cuyahoga County Public Library, is writing this post for the Public Awareness Committee. She can be reached at mschreiber@cuyahogalibrary.org.